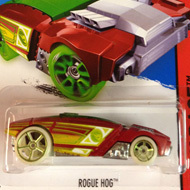 99/250 is part of the HW Race series and the 2015 Treasure Hunt set. The light blue car sports a variety of black, white, orange and yellow graphics. A yellow & black low production symbol as well as a large Hot Wheels logo is on the sides. It has a chrome interior, an orange plastic Malaysia base, and Off-Road 6-Spoke wheels. The tire have yellow rims in front and white rims in back. 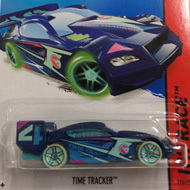 This vehicle can be found in mix “N” of 2015 Hot Wheels mainline cases. 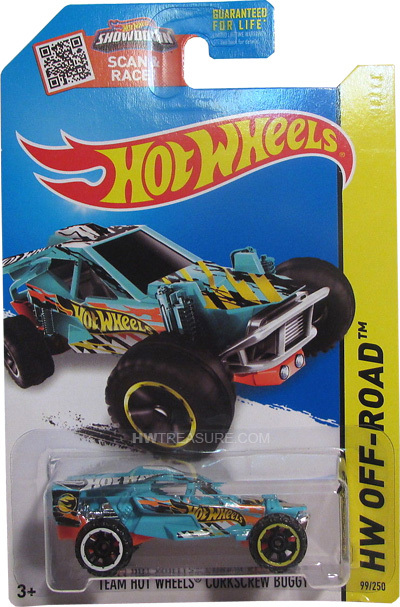 The vehicle made its debut in 2013 in the HW Stunt series as the Team Hot Wheels Buggy. It is based upon multi-terrain buggies used in rally racing.